Fashion is not alone for the girls, they are for guys even. Like girls, guys too holds all the right to dress according to the season. And we don’t think you discriminate your kids on this basis. Well, if you are helpless doing so as you do not get variety for your baby boys, no more. We are here with some latest ethnic wear for your prince charming. This Maha Shivratri do not only dress your baby girls but baby boys too. You’ll get amazing range of kids ethnic wear online. So with us you are just a click away to dress your baby boy this Maha Shivratri. Let’s have a look. 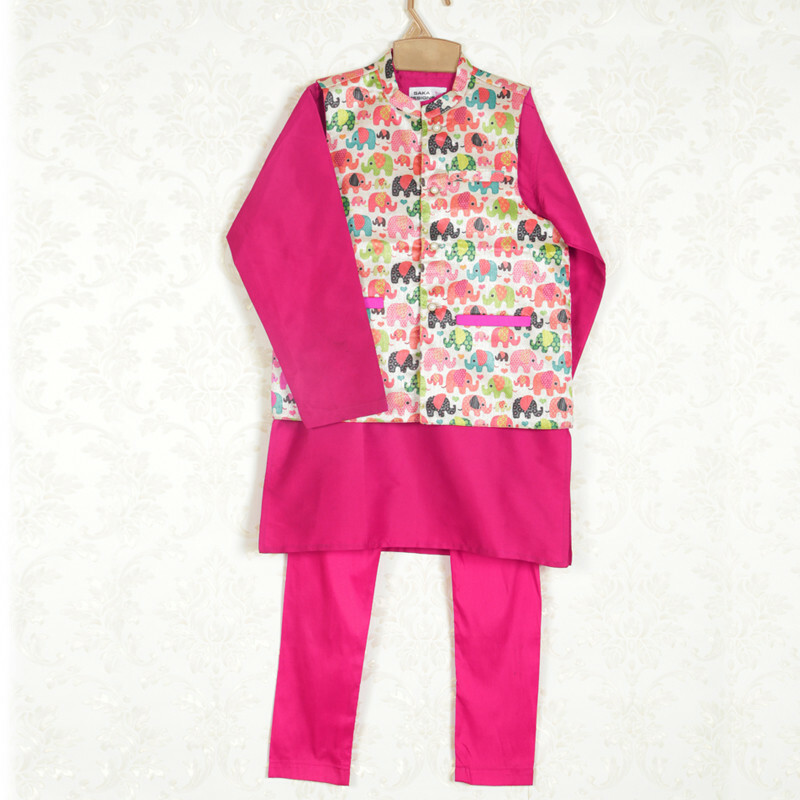 How about a three piece set for your little prince this festive season? We know you completely liked the idea and if you are sill giving it a thought have glance at the color. This is a beautiful three piece ethnic set your baby boy will look handsome in. It has full sleeves to protect him from the cold weather and the Nehru collar the kurta has, helps enhance the overall look of the set. This Nehru kurta is exclusively made for your apple of the eye.wearing this your munchkin will completely turn into a little gentleman. This kurta is orange in color with golden sleeves overcoat. This dress holds a unique shine and wearing this your prince is going to glitter all his way. Grab this dress to see the magic. Style your baby boy in this cute kurta set and make her look a gentleman. It has Nehru collar which is providing it the ethnic look. The kurta also has a full sleeves so you can make him this wear this season. It has a elasticated pajama along. This set promises pure comfort to your little prince. He surely will steal hearts dress in this. Do you want your baby boy to look stylish even in the traditional wear. If yes, then this piece is just too perfect for him. 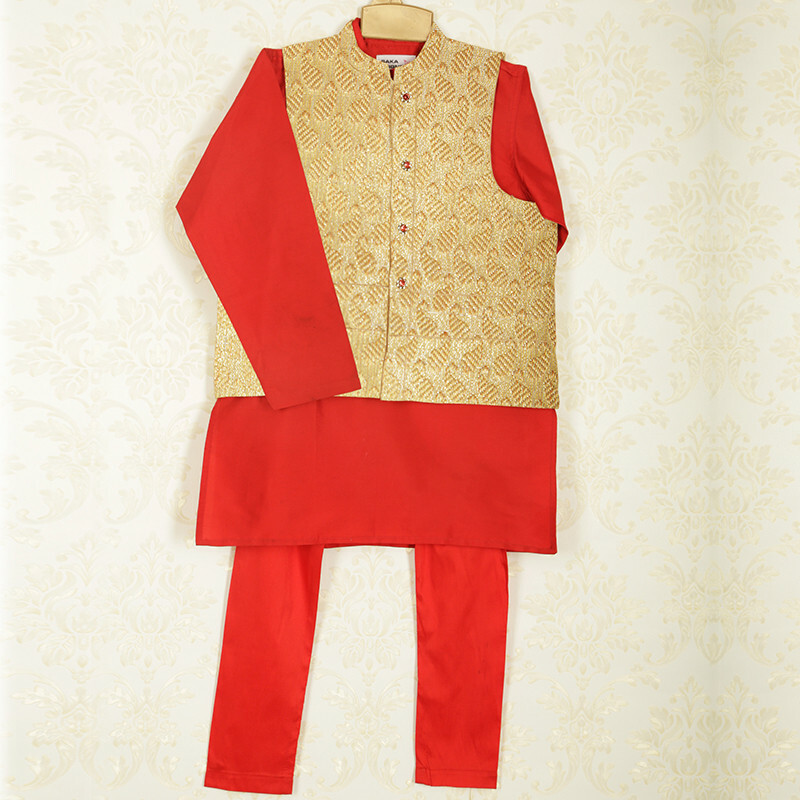 This set of traditional wear comes with an elasticated pajama and an overcoat dyed in golden color. 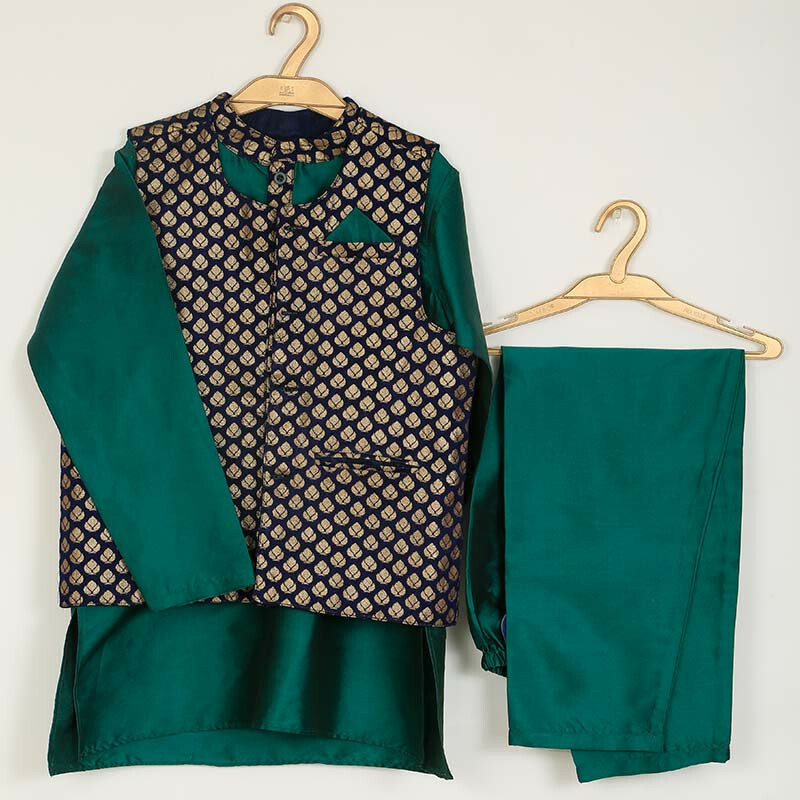 The kurta has a Nehru collar which is giving this whole piece a proper traditional look. Your baby boy will look far too elegant in this. Have a check. If you want to go for a unique color to dress your little boy you can go for this one. 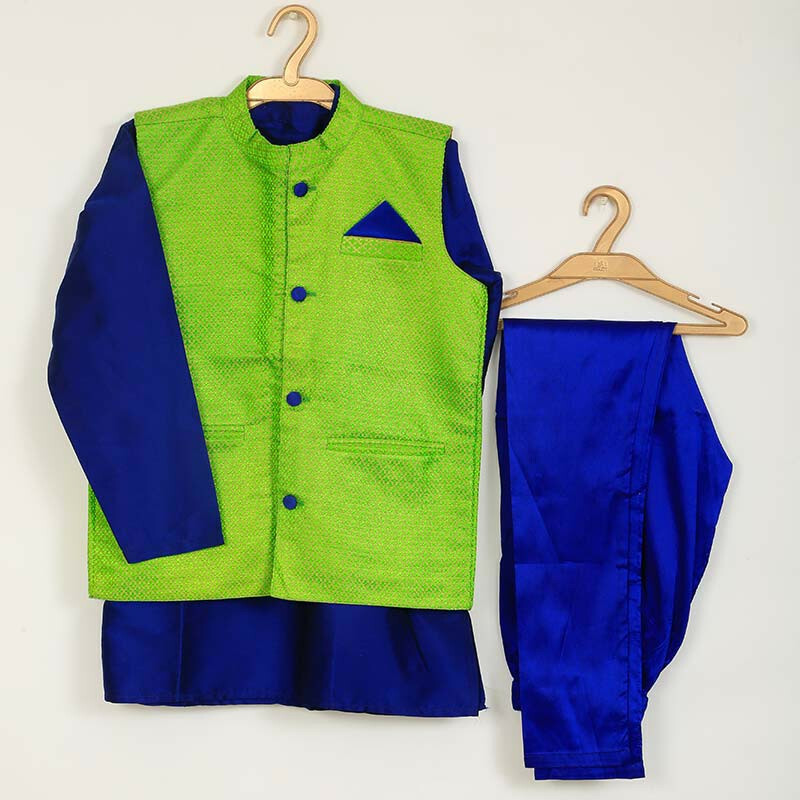 This is a set includes a peacock colored Nehru collar kurta and a sleeveless coat. An elasticated pajama for easy wear. It also has a button closure for a perfect fit. Grab this beautiful colored piece for your little and make him look handsome this festival. See how your problem of dressing your baby boys this festival is solved in minutes. Shop ethnic dresses for baby boys and let them feel privileged too. Happy Maha Shivratri! The post Why Should Girls Have All The Fun? 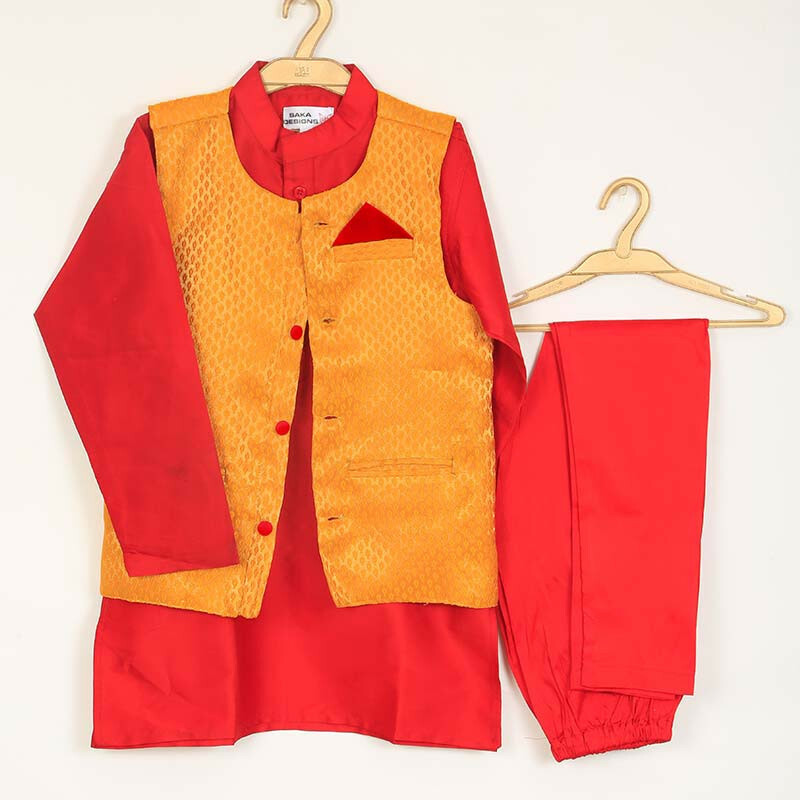 – Ethnic Wear For Boys appeared first on Baby Couture India.